Dao of Well Being Tours to China & Tibet, Qigong - Tai Chi Trips What is Qigong? Dao of Well Being Tours presents "The Journey of a Lifetime...a Life Changing Journey"
Join us for the adventure of a lifetime - a timeless journey - of connecting with ancient cultures, authentic wisdom - hidden kingdoms - peace and serenity, beyond the fast pace of our modern world. Our China and Tibet Dream Tour is the Journey to Shangri-La. The imaginary land depicted in the novel Lost Horizon by James Hilton has become synonymous with a remote, beautiful, imaginary place where life approaches perfection. Some say that it can be found in sacred Tibet. Others say it is in the hidden valleys of SW China, in the ancient kingdoms and pastoral villages of the Himalayan foothills in Yunnan. Join us for the journey of a lifetime...a life changing journey! Experience the magic and mystery of Tibet and SW China. 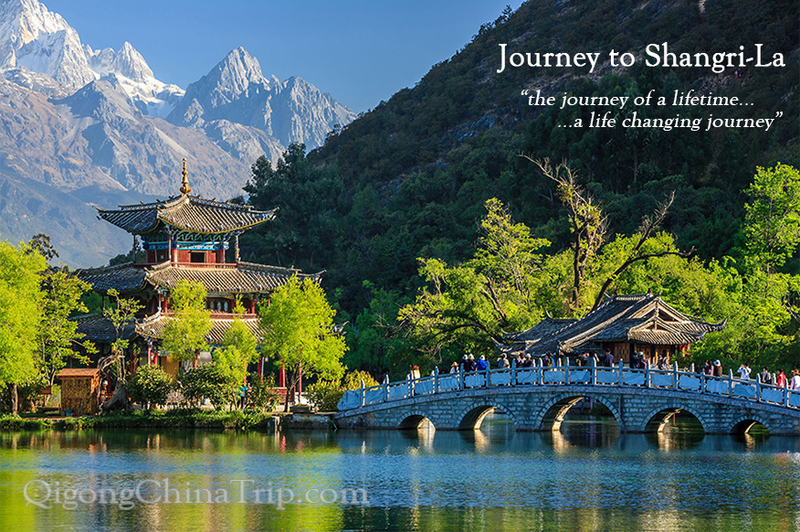 Some say the Journey to find Shangri-La is the most rewarding adventure you will ever make. And once you have fond it - then you may discover it anywhere - in a cup of cafe latte or yak butter tea - or in your own heart! Mark Johnson and Rebecca Kali will personally lead this tour. We have over 40 years of experience in sharing our passion for China’s incredible heritage and cultural sites and teaching Tai Chi, Qigong, Meditation, and Taoist Inner Alchemy - Neigong Practices. A friendly relaxed atmosphere, comfortable lodging, excellent cuisine, and personalized care are hallmarks of our tours.